Without a doubt, one of the most challenging aspects of business expansion is the question of how to manage employees overseas or abroad. Despite being in the midst of the communication age, the world is still a big place and being so far away from your employees can create a serious strain on your operations. Many workers in far off places complain of feeling disconnected from HQ, which can cause serious losses in morale. Others feel that their companies don't understand the lay of the land or culture that they're working in, since the distance is so great. All of these issues may seem small from a human resources perspective, but they can add up. In the end, your operations might be the most important part of your business, but your employees are important too and managing the relationship from afar comes with challenges. 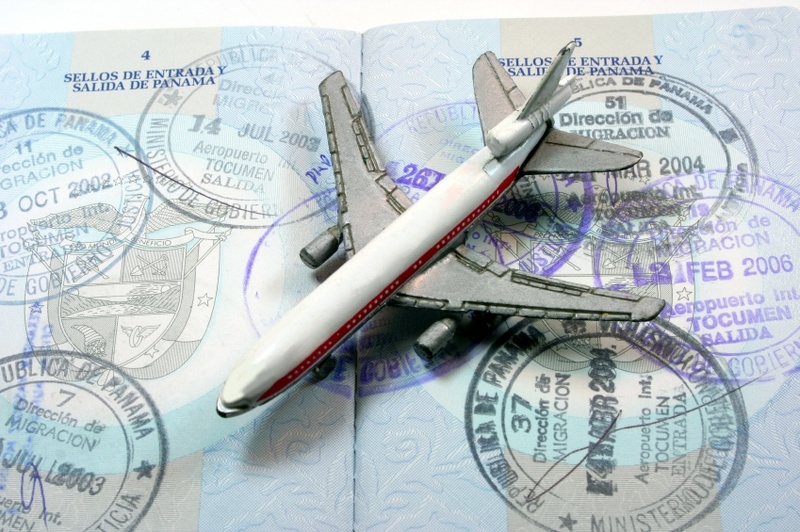 Luckily, those challenges have some solutions that can help you manage employees overseas. As with most things, research is extremely important and core to whatever activity you're involved in—this goes especially for managing employees abroad. Depending on where your employees are working, there will be a lot of differences that need to be taken into account. This could mean differences in the expected pay rate in each country, cultural holidays and customs, and of course, foreign tax and employment law must be considered at all times. If possible, be sure you're well aware of these things before you expand to minimize any confusion or potential roadblocks. Many companies hire a local manager to help guide operations according to their business principle, but one who understands the environment better than most. This can help new employees (and old) get comfortable and feel less alienated. Be sure to have lawyers take a look at the laws you're expected to follow—in many cases, you'll be following the laws of your own country as well theirs, which can get complicated in a hurry. Good lawyers and research can help you navigate legal compliance in a way that would be very difficult on your own, and that can make all the difference. 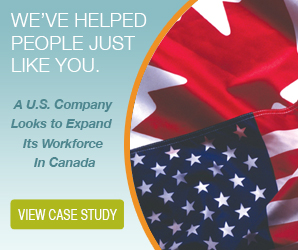 Knowledge is a powerful thing, and an incredibly effective way to manage employees overseas. Some businesses simply don't have the time, money, or resources to do all the necessary research or hire lawyers, and that puts them in an awkward position. Expansion is an amazing opportunity for any company, and it can be frustrating when obstacles are placed in the way with little recourse. It's for these reasons (and more) that employers of record are becoming increasingly common. An employer of record is a third party organization that deals in worker management, legal compliance, human resources—you name it. It's their goal and their prerogative to help companies expand without all the frustration. When you move into a new country, there’s no doubt a mountain of paperwork and registration needed in order to legally establish your business and that can take weeks, even months! One of the main benefits of an EOR is that they're already established and can easily help you set up without all the fuss. Effectively, they act as the legal employers (and managers) of your employees on your behalf and contract them to you. This means you can skip a great deal of trouble and simply get started working, knowing that a local EOR is helping. EORs know the lay of the land and dramatically reduce the risk of decreased morale, simply by focusing their energy on management—leaving you to handle your core responsibilities without distraction. The world seems to be getting smaller every day, in no small part due to technology and globalization. With more and more businesses expanding into an international market, a higher emphasis is being placed on an international workforce and with that, comes the challenge of effectively and efficiently managing employees from abroad. 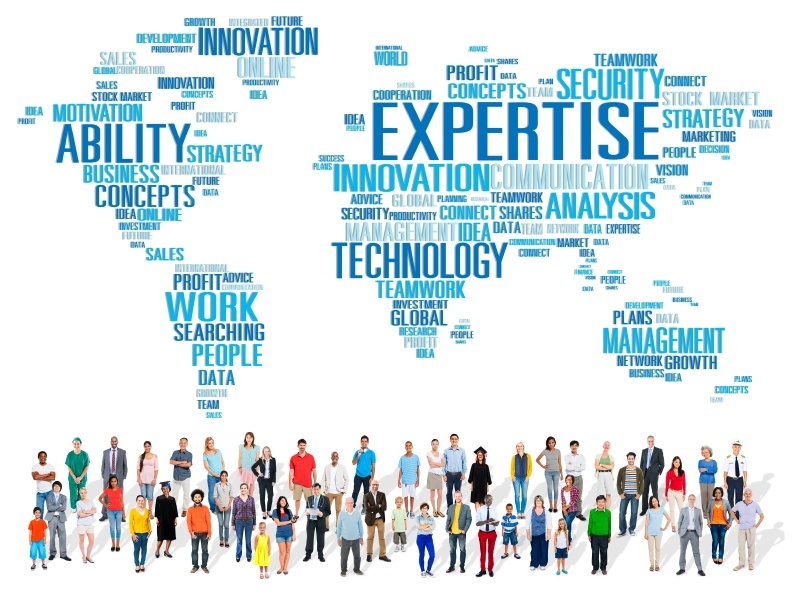 There are benefits to hiring employees from across the world—an international worker brings a wealth of experience with them, including a good understanding of the market in their country and can no doubt help your company compete more effectively in the global marketplace. Unique and diverse skills are a fantastic asset to any company, and create a better working environment for everyone. The real challenge, however, is managing those employees. In order to get started, there are three things to consider. When managing employees from abroad, the first and most important aspect to consider is communication. Due to time zone differences, possible language barriers and differences in holiday schedules and time zones, you'll want to ensure that there is a strict code of communication. Consider your mode of communication—if you prefer email, ensure that all of your workers are using the same mail service and that it works across all applicable operating systems. It also has the added benefit of creating a written record of conversation, which helps keep everything accountable. There are a number of tools for international collaboration also available and they should be thoroughly researched before you make up your mind. Once you've standardized your modes of communication, you'll find less disputes will arise and productivity can be streamlined, measured and quantified. It's important to consider the regulations, laws and policies in the country your employees are from—the standards in your country may be similar in many ways, but could differ in critical areas. You need to ensure you're familiar with these differences and know which country's laws will apply, as they will have a large impact on the rights of your workers and the operation of your business. Regulations can also affect the method in which you pay your employees and how often you must do so, as well as how long they're able to work. They will also affect things like holidays, overtime pay, benefits and terms of employment, including the official classification of your workers. There's also tax law to consider as well—it's important to understand the laws in your country and the country in which your employees work in order to ensure you don't end up with costly fines and fees. Make sure you've sufficiently researched everything you need to avoid being caught in an uncomfortable position. It's important to consider having experts on staff either locally or internationally that can aid in smoothing out any problems that may arise in the human resources department. That said, many companies managing employees from abroad hire local management or a PEO to better keep things in order. For some employees, working abroad can be a challenge because their head office and supervisor are so far away—as the saying goes, it can often become an “out of sight, out of mind” situation. However, with appropriate local management, you get a more hands-on approach, which can increase worker productivity, comfort and overall security. There are other benefits to proper management too—a local manager or PEO would have inherent knowledge of cultural customs, regulations and a better idea of how things work in the country, which can greatly increase your efficiency. Management can make sure everything is running at peak capacity and handle the everyday minutiae of general operations, guaranteeing you have eyes on the ground. The rise of technology has created a connected business world with no geographic boundaries. Companies all over the world are now hiring workers from other countries to benefit from specialized skills scarcely found in their own homeland. Other companies are setting up shop in foreign markets to reap the benefits of increased brand recognition and sales. With branch offices and employees in remote locations all over the world, more and more business owners will need to learn how to effectively manage employees overseas to ensure a higher return on their investment. Though instant messaging, email, and Skype can help them communicate over long distances, there are more pressing issues and risks that will need to be considered and eliminated for successful global relationships with workers. You can’t do it alone. To effectively manage employees overseas, to ensure the highest productivity and profitability at the lowest cost and with the lowest risks, you should engage a professional employer organization (PEO). Here’s why a PEO is a far better option than choosing to manage employees overseas on your own, from your homeland. Advances in technology have made it possible for you to virtually manage employees overseas from your home office. Although this is an option, it certainly isn’t the best one available to you. To do so effectively, you’ll need to learn a whole slew of new laws and regulations, including health and safety, human rights, and tax and payroll, or risk the consequences of being non-compliant, which could include a fine, penalty, lawsuit, or even jail time. Every HR decision you make, every file you send to the government, and every deduction you make from pay cheques will need to comply with the government regulations in the new market. Are you truly confident that you can reduce your risks and eliminate liabilities by managing your workers from abroad on your own? Physical distance, different time zones, language barriers, and cultural nuances can make managing your workers abroad even more difficult. Not only will you have to ensure that you’re always compliant, but you’ll have to ensure that these hurdles do not destroy your efforts of effectively managing your workers, too. Your employees abroad will rely on you, and you will need to be there, whenever they need you for HR issues. 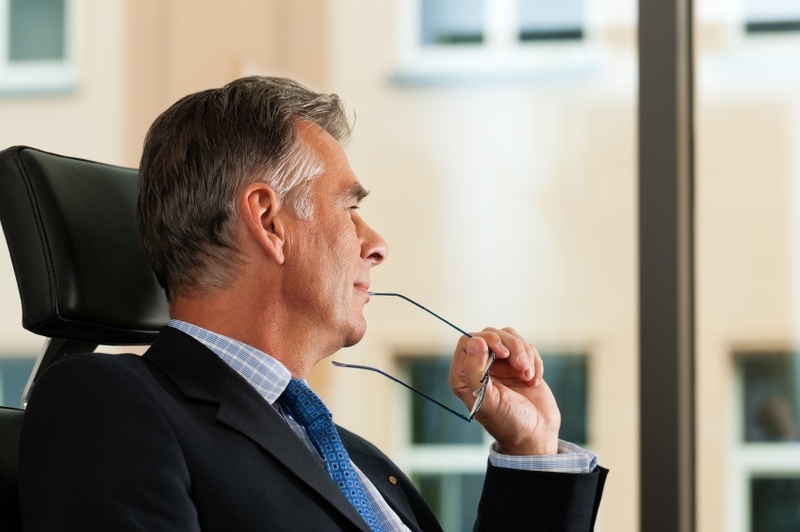 Can you make sure that these setbacks won’t be the downfall of your management efforts? Now that you understand the myriad reasons why it would be ineffective and risky to manage employees overseas on your own, from your home base, you need a better solution. And that solution is to engage a professional employer organization to help. PEOs help foreign companies just like yours handle the day-to-day tasks that come with hiring and managing overseas workers. When you enter in a co-employment partnership with a PEO, the company becomes the legal employer for your workers, so it is then accountable for human resources, payroll, compliance and all of the other administrative tasks that come with the responsibility. Engaging a PEO is a cost-effective way to reduce your workload and significantly reduce the risks and liabilities that come with hiring employees abroad. Your PEO’s team of experts will ensure that you’re always compliant with employment laws, that your HR tasks are handled in a timely and professional manner, and that your workers are always paid correctly and legally. In addition to the access to legal and administrative expertise and experience that you’ll receive, you will also have access to best-in-class cloud technology, so you can always stay up to date and in control of your overseas workers and their files. You won’t lose control—you’ll gain a partner. We’re in the midst of a global economy. Thanks to technology allowing us to be better connected from anywhere in the world, now more than ever before, companies are working with and managing employees overseas. Business owners can reap the benefits of specialized workers, no matter where they’re located. Especially when you’re expanding your business operations into a new country, hiring overseas workers is critical. But the benefits you receive from hiring workers in other countries don’t come without hurdles. Managing employees overseas is very different than managing local workers. There are many roadblocks to effective HR management. Compliance: The most significant issue that comes with managing employees overseas comes down to compliance. You must manage these workers according to the laws of their country—not yours. It’s going to be risky to manage them on your own. Though you might be a successful employer with an efficient HR department in your homeland, the laws that you’re used to following there won’t apply with overseas workers. You’ll need to learn thousands of new labour laws, health and safety regulations, and other rules to ensure that you’re fully compliant. Although some laws will only vary slightly, and some might be identical to the ones you’re used to, some might be drastically different, and they could get you into trouble. Employment contracts, interviewing methods, benefits administration, tax and payroll laws, onboarding and training requirements, termination—every HR task will have some legislature behind it that you’ll have to follow. Every decision you make regarding your workers, no matter how small, might cost you if you don’t follow the proper standards of the new country. Time Difference: Communication between your head office and your overseas workers can be disjointed and inefficient due to the time difference. You might have to wait 12 hours or more for answers to critical questions or updates on progress. You might have to stay up late, wake up early, or rearrange your schedule to stay in touch with your workers as best you can—and this can be a major inconvenience, and often impossible. Language barrier: Though not always a factor, you might also be dealing with a language barrier that could lead to misunderstandings and miscommunication that could negatively affect your business. Distance: Some sensitive HR issues are better handled in person, such as layoffs and termination, as well as sexual harassment, theft, and other illegal activities. Managing employees overseas on your own, without someone on the ground, could lead to impersonal management. Isolation: Your overseas workers could also feel abandoned and isolated working all alone in a different country. They might feel like they are receiving no support, guidance, or direction, and this could lead to job dissatisfaction and a high turnover rate. Lack of Cultural Understanding: Business isn’t conducted in the same way in every country. You might behave inappropriately and offend your new workers if you don’t understand the local customs. As you can see, there are many roadblocks to managing overseas employees. Any of the issues above could destroy your professional relationships, lead to poor performance, and get you in trouble with the local government. Instead of risking it, think about managing your workers in a new way: through a professional employer organization (PEO). As the legal employer of your workers, the PEO will be in charge of handling all of your human resources tasks, payroll, and compliance. The PEO will manage your overseas employees for you, correctly, efficiently, and legally. Avoid the cumbersome, complex, and risky work that comes with hiring overseas workers by partnering up with a PEO on a co-employment relationship—you’ll be glad you did. The world is more connected than ever before. Thanks to advancements in technology, companies can now operate throughout the world, with branch offices and employees in different countries, across oceans. The internet has made it easy for employees to work remotely, all while staying connecting to the head office. Employers can manage employees overseas virtually, over the phone, over Skype, or with instant messaging and email. With no geographic boundaries, companies can now take advantage of wider global talent pools. They can hire workers with the exact skills and experience they need, without settling for less than they require. Though it can be highly beneficial to hire qualified workers from anywhere in the world, this move also comes with drawbacks. Most notably, it’s more difficult to manage employees overseas when you’re not there to do so in person. Additionally, you have to manage them based on the human resources best practices, protocols, and regulations of the country they are based in—not the ones you’re familiar with. You could manage employees overseas virtually from your home office. However, this means you will have to learn a whole new set of laws, including labour laws and health and safety regulations, and ensure that you’re following them when you manage employees overseas—or risk the consequences of non-compliance. Some of these consequences include lawsuits, government fines and penalties, and a bad reputation. Even basic requirements like creating employee handbooks, processing payroll, delivering benefits, and writing employment contracts must follow the employment regulations in the new market. And as these regulations can be nuanced and complex, you always risk misunderstanding them and making errors that could cost your business. Can you ensure that you’re compliant with the appropriate regulations? How will you mitigate the risks on your own? Do you have the time that’s required to manage employees overseas on top of your regular day-to-day operations? Instead, you could hire a manager in the country you’re operating in to handle all of the human resources tasks. After all, this person would have more understanding of local laws and regulations and would be on the ground to make sure operations are running smoothly. But if this person isn’t an expert in human resources and compliance, you still run the risk of making critical errors during management. Plus, the salary you pay this manager might not be worth the cost considering he may only be needed to manage a handful of workers. The most effective route to take is to engage an employer of record (EOR). When you enter into a co-employment situation with an EOR, you can hand over all of the administrative and legal work that comes with hiring and managing overseas employees. This will allow you to reduce your risks and liabilities. 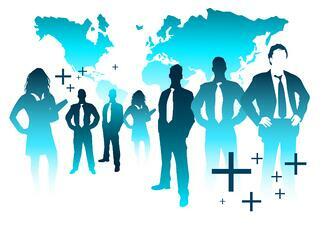 Your overseas employees will become the responsibility of the employer of record under the law. The EOR will act as your human resources department and provide expert guidance and deep knowledge to your HR administration, payroll processing, and compliance, so your employees will always be properly managed. Employment contracts, employee lifecycle needs, benefits planning, health and safety, human rights, and all other issues that fall under HR will become the responsibility of the EOR. You’ll receive end-to-end employee administration with guaranteed accuracy and compliance. You won’t have to spend all of your time learning local laws and customs just to manage a small percentage of your workforce, so you’ll be able to stay productively focused on your core business activities. You’ll have access to HR specialists in the foreign market as well as best-in-class cloud-based HR technology, so you will still always have access to your HR data when you need it. Using an employer of record is a cost-effective, efficient choice when you need to manage employees overseas.